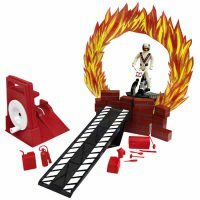 Home / Shop / Wholesale / Evel Knievel / Evel Knievel Happy Landings! signature trademark referring to safety. 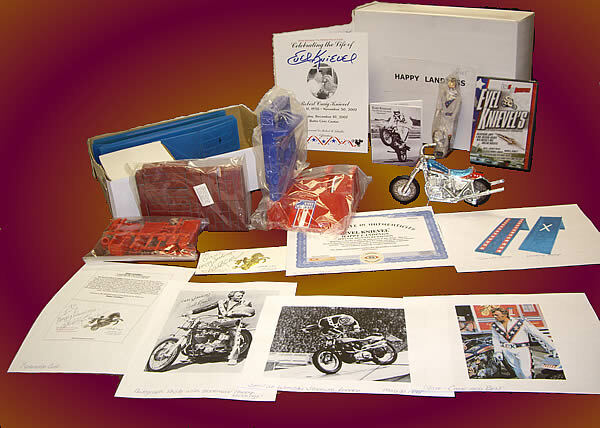 This SPECIAL COLLECTOR’S EDITION celebrates the exciting life of The World’s Greatest Daredevil. Evel Knievel explained that to jump, he would: “line up a Take-Off Ramp and a Landing Ramp. 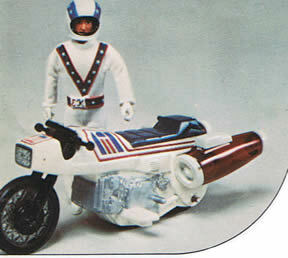 On Evel’s suggestion, we include the adjustable ramps in the red, white and blue as he had decorated them. The Take-Off Ramp had a guide in the center as if aiming through the sights of a rifle. This would direct Evel toward the X in the center of the Landing Ramp. If off the center mark by even a few inches, the line of flight to the Landing X could be distorted, creating immense danger. Evel said that of paramount importance in all jumps was the ”Landing”. The “Last of the Gladiators” would sign autographs on his personalized cards with embossed artwork of a golden warrior on a motorcycle as “Happy Landings!” referring to safety. This Tribute set takes its name from that signature. And now in the immortal words of Evel Knievel, we wish you: Happy Landings! 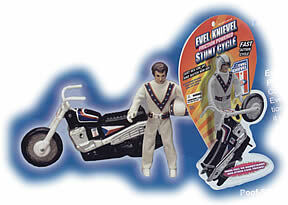 Each Evel Knievel Happy Landings! Set is individually numbered and has a Certificate of Authenticity.